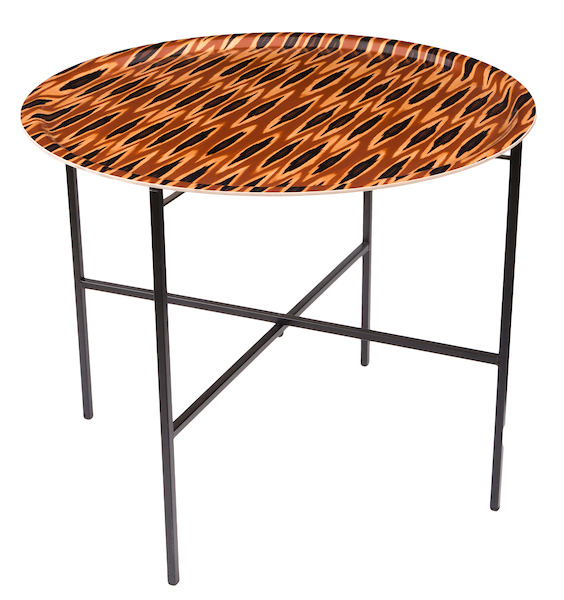 Luxury tray table featuring the Tribal Ikat print in ocre designed by Mariska Meijers. This fold away tray table is easy to bring with you, ideal for city living where space comes at a premium but also great for outdoors on the balcony or in the garden. Made in Scandinavia. The Coco Ikat pattern is available across our interior collections.